If I would be a Dandelion farmer, this would be a year of phenomenal harvest. I do like them though, they are pretty, the kids love to blow the seeds. 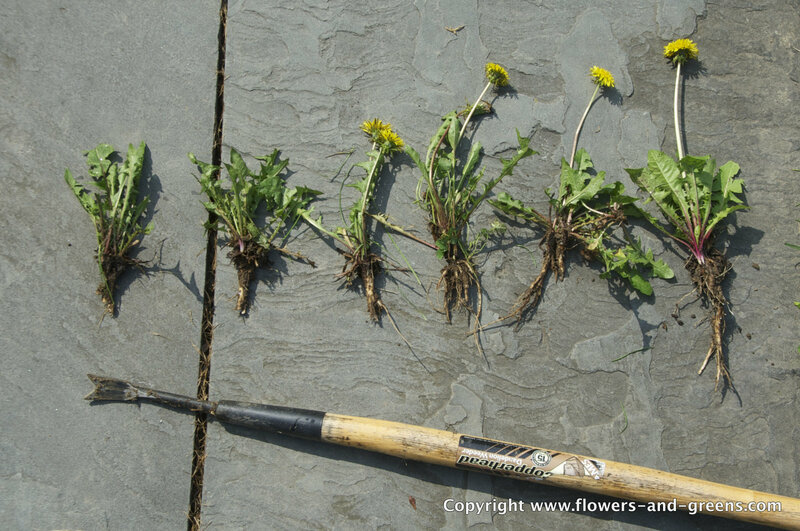 Maybe I cultivate a corner with Dandelions only, the young leaves are really good in salads. I just don’t want to take them from any random area to avoid tick spray, dog poop and any other natural or not so natural nasties. In my daily fight against the weeds, the only truly effective tool are these Dandelion Pluckers. It take a bit of patience, but over time gives the best results. If you can get to the root, the plant comes out nicely and does not return immediately. Chemical weed killers are out of the question on our lawn – or better the area of the garden where we keep the plants short. It is a wild mix of different grasses (whatever we randomly buy to reseed), clover, oxalis, spurge and many more. And that is perfectly ok with me, as long as it stays green and is nicely mixed up.